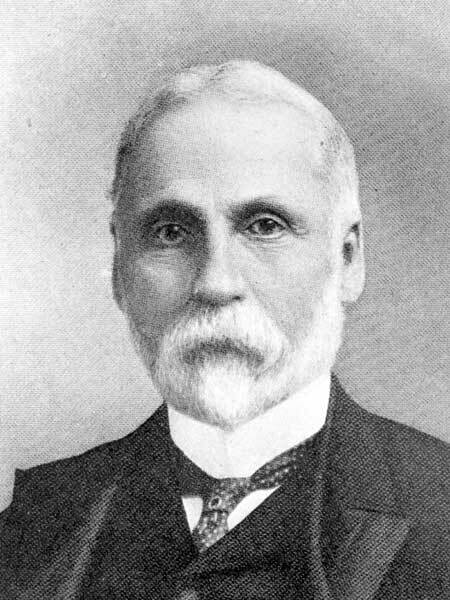 Born in Oxford County, Ontario on 20 February 1846, son of Samuel Hagel and Eliza Ann Tapley, he was educated at grammar schools at Ingersoll and Woodstock, Ontario. He was a volunteer during the Fenian Raids of 1866. He was called to the Ontario Bar in 1873 and practiced in Toronto until 1881, when he came to Winnipeg and became head of the firm of Hagel, Henderson & Delahaye. In 1900, he moved to the Yukon, where he served as President of the Conservative Association of Yukon and Yukon Horticultural and Floral Association, and Vice-President of the Yukon International Polar Institute. In 1905, he returned to Winnipeg as senior partner in the firm Hagel, Towers & Morley. In 1870, he married Susan Adele Summers (1847-1925) at London, Ontario. They had three children: Maude Victoria Louise Hagel (1875-? ), Florence Gertrude Woodman Hagel (1880-? ), and Percy Elden Hagel (1881-?). He was a candidate in the 1886 and 1892 provincial general elections. He was a member of the AF & AM, Loyal Orange Lodge, Winnipeg Hunt Club (President), Dawson Club (President), Adanac Club, and Anglican Church. In 1911, he lived at 182 Donald Street, Winnipeg. He died at Winnipeg on 27 January 1915, after an illness of several months, and was buried in the St. John’s Cathedral Cemetery. Nathaniel Francis Hagel, Dictionary of Canadian Biography XIV, 443. “N. F. Hagel returning,” Winnipeg Tribune, 14 September 1905, page 9. “Oliver’s rule in the Yukon,” Winnipeg Tribune, 17 October 1905, page 1. “Several new companies,” Winnipeg Tribune, 15 January 1906, page 2. “Hagel is low,” Winnipeg Tribune, 4 January 1915, page 1. “Noted lawyer nearing death,” Winnipeg Tribune, 7 January 1915, page 9. “First work in Yukon gave fame,” Winnipeg Tribune, 27 January 1915, pages 1-2. “Widely known lawyer is dead,” Manitoba Free Press, 28 January 1915, page 7.